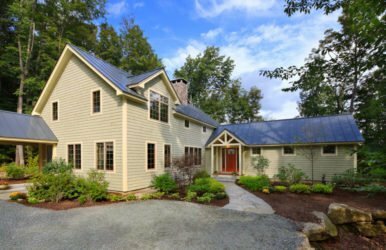 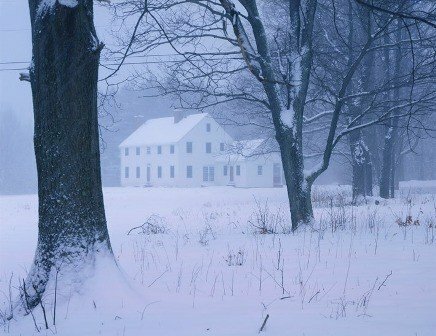 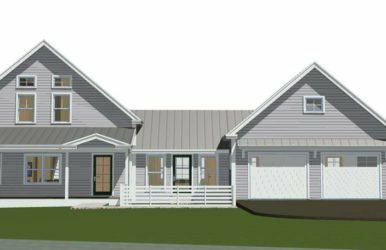 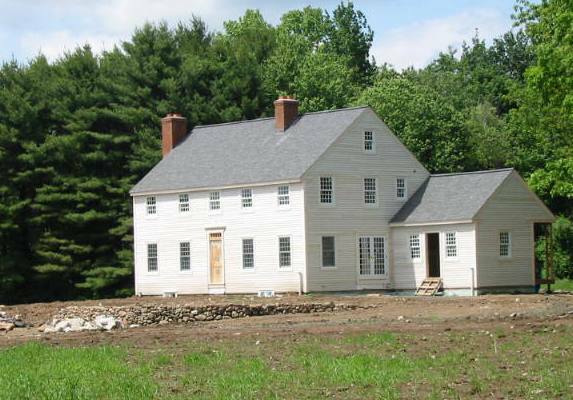 This quintessential colonial floor plan features 3,186 square foot of post and beam living space, 2 to 3 bedrooms and 2.5 baths. 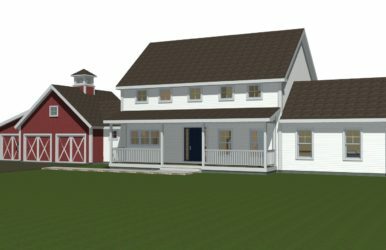 A granary added along the side of the Prairie Barn frame creates the saltbox shape on the exterior. 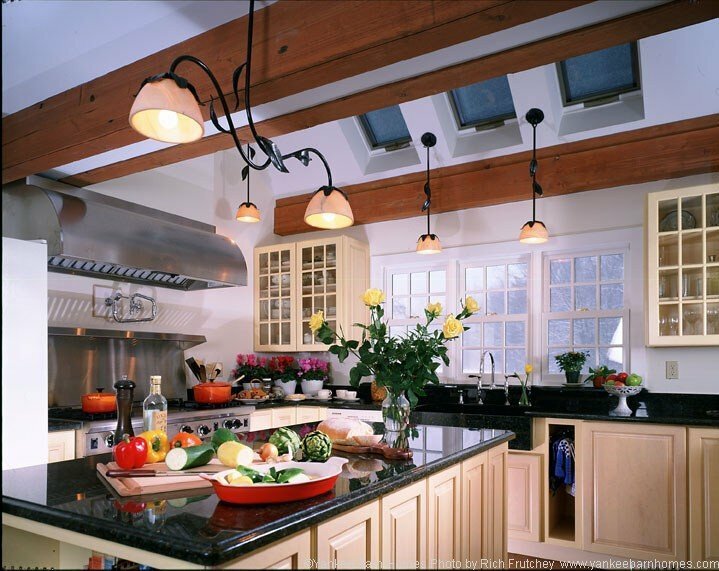 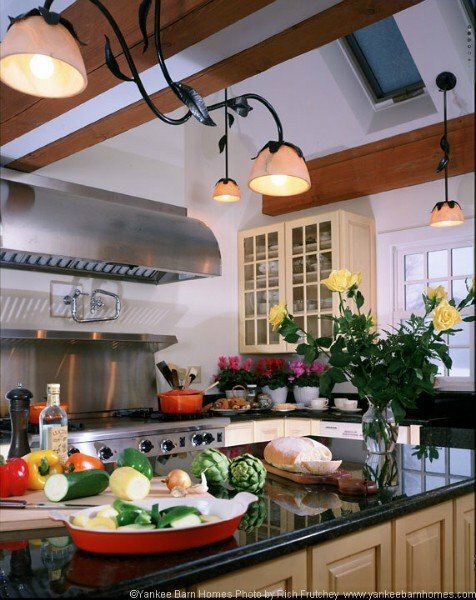 Inside, the granary encloses a large open kitchen and provides added light. 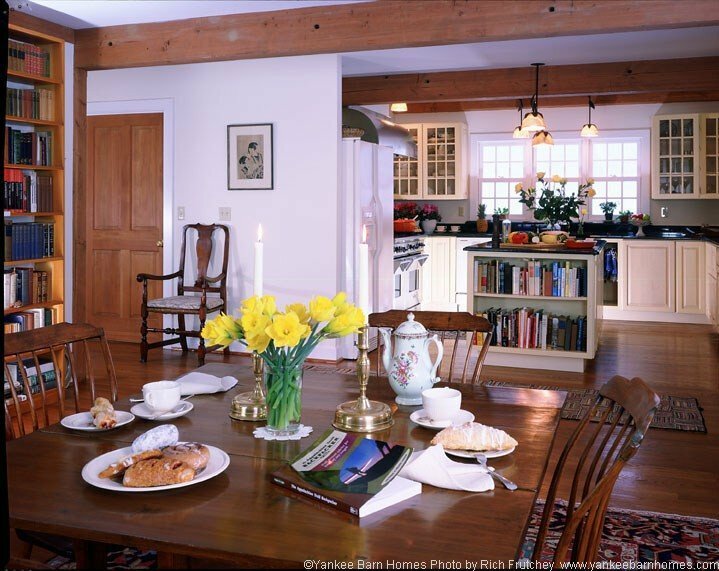 The dining room and kitchen is one large central area to serve as the heart of the home and a gathering place for friends and family. 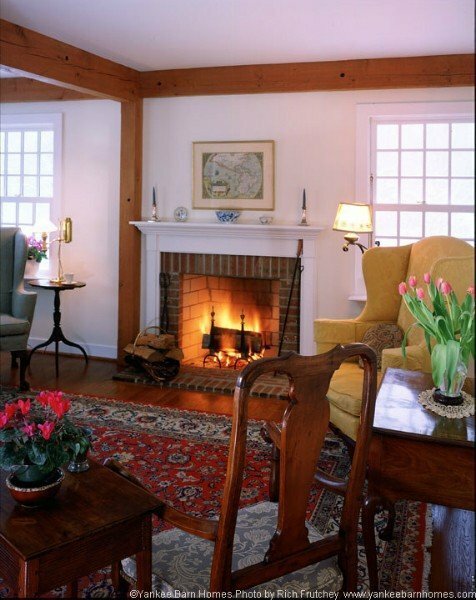 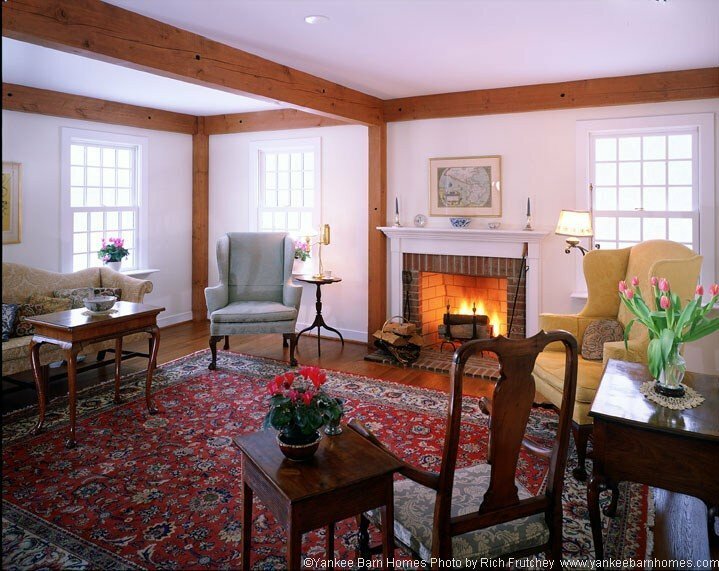 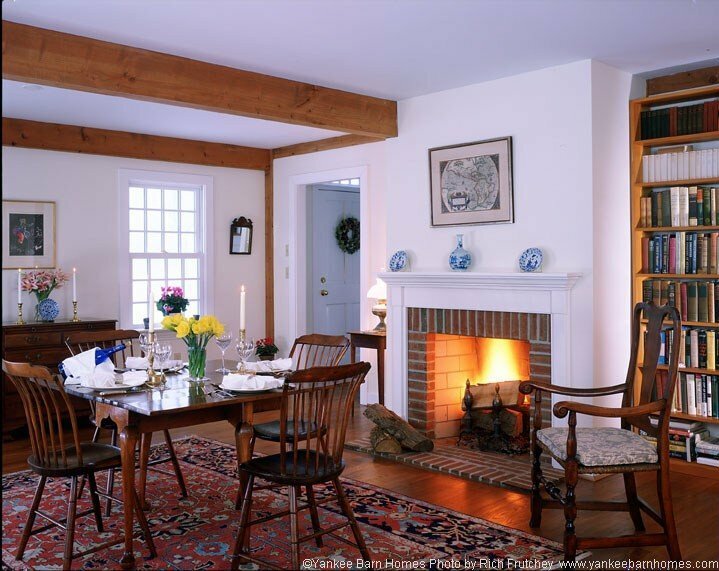 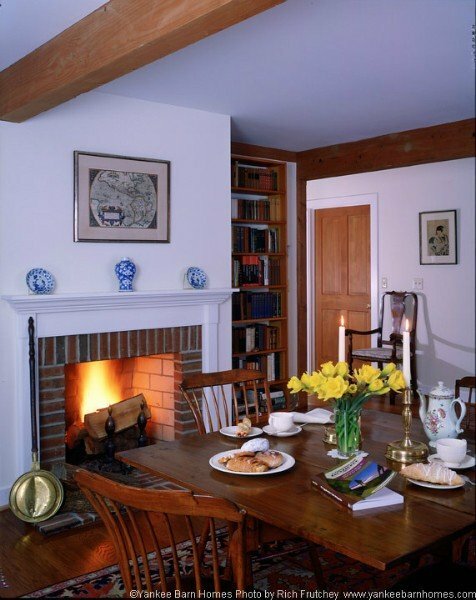 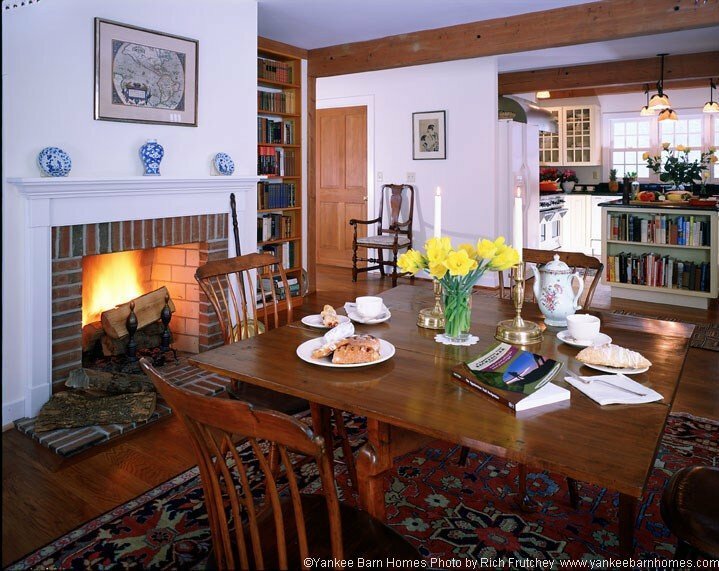 To create a cozy sitting room, a standard ceiling height was selected rather than the soaring cathedral ceiling used in other Yankee Barn living rooms. 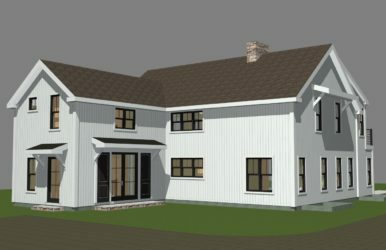 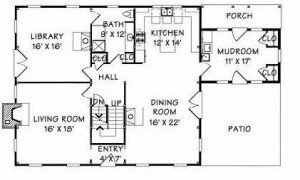 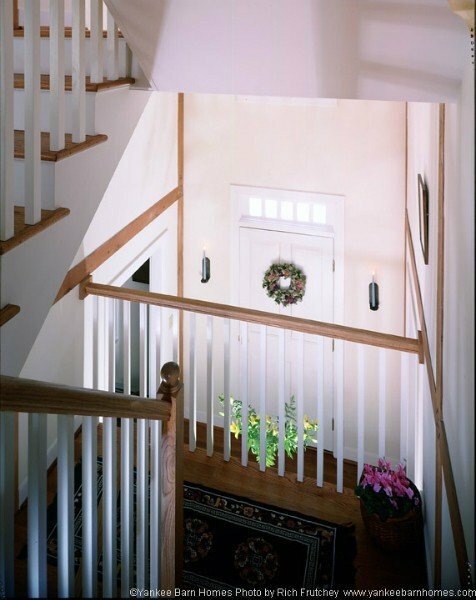 This also allows the use of the entire second floor for bedrooms. 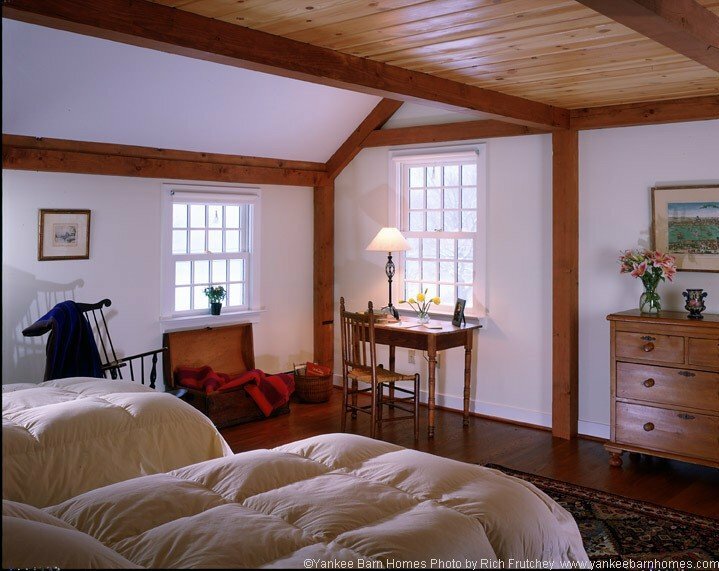 Upstairs contains a master bedroom suite with bath, a large guest room with bath, and several walk-in closets.